I've been fascinated for years with the hand and eye motif. Last year, while visiting a healer who does massage and energy work, I saw that she had an ancient native American artifact. It was of thick shell, about 3"x 2", stained, carved into the shape of a hand, incised to show the fingers and joints, and with an eye and pupil in the center of the palm. A hole was drilled in the top of this medallion or amulet, presumably so it could be worn with a cord. Judith bought it at a show in Ohio. I found myself continually holding it. It seemed to emanate a kind of "clarifying" energy, and being curved, fit into the palm of my hand. I don't have a photo of Judith's amulet, but the shell gorget above is from a similar source. 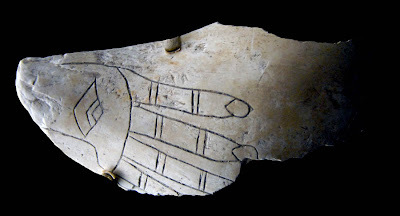 The "Hand and Eye" motif, like the Spider with Cross, are found throughout prehistoric sites of the Mississippian peoples of the great river valleys, from Ohio to Alabama. These people have also been called the Mound Builders, leaving behind mounds and burial chambers (last year I visited Wickliffe Mounds in Kentucky). 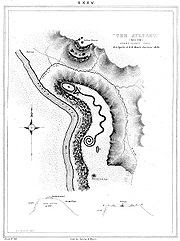 The awesome "Serpent Mound" in Ohio has been associated with these ancient peoples. For those unfamiliar, atop a plateau overlooking Brush Creek Valley, Serpent Mound is the largest serpent effigy in the United States. Nearly a quarter of a mile long, it apparently represents an uncoiling serpent; its "head" may also represent an egg in the mouth of the serpent. It has been variously dated from about 1,400 years ago to as long ago as originating in 5,000 bc. It's also geomantically interesting that this ceremonial mound was built on the site of a ancient meteorite strike. Some scholars also believe it aligns with the summer solstices, and also with the constellation "Draco", suggesting it was designed when the star draconis alpha was the pole star. 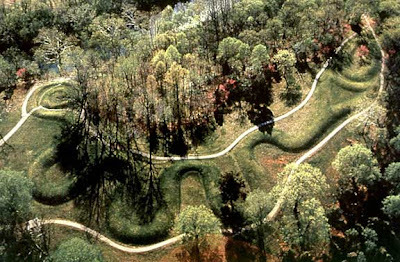 Serpent Mound is certainly one of America's greatest archaeological mysteries. Judith's artifact, an ancient sacred image once ubiquitous among the Americas, is related to the prehistoric people who built Serpent Mound. Her carved shell talismen of a Hand and Eye is probably 500 years of age, or older. Why did they wear it, why did they engrave it in stone? Variants of the Hand and Eye motif. a, b, c, Southeastern United States (after Waring and Holder 1945, Figs. 1, 7 a-c); d,Lienzo de Tlaxcala: 40 (after Seler 1902-23, Vol. 2: 569, Fig. 99). What did this iconic image mean to these prehistoric people, who were the ancestors of the Cherokee and many others? 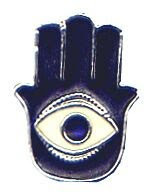 I am familiar with the "Hamsa", also called the "Hand of Fatima", a symbol used to ward off evil ( worn as an amulet, or over doors) in the Middle East, both by Muslim and Jewish peoples. This token is ubiquitous through the Arabic world. I wonder why this image is personally meaningful to me, so that I am continually incorporate it into my artwork. 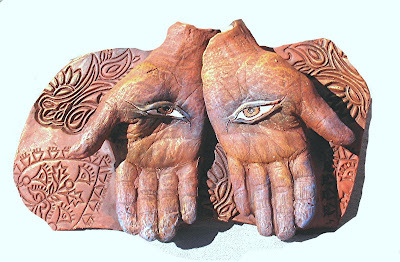 Perhaps it represents conscious mind in the works of our hands, in what we manifest. Beyond that, the Presence of God/dess, of the divine, the "one within the many", moving through the manifest creative and healing works of our hands, of our lives. An amulet not to avert evil, but to call forth divine vision and creativity. 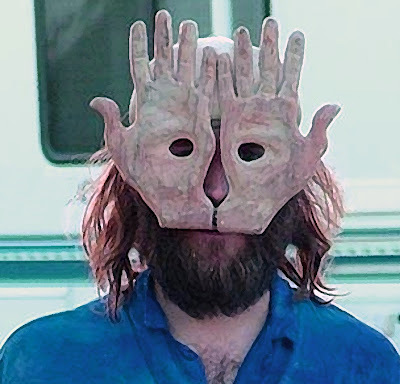 Here's an amazing "Hands with Eyes" mask made by artist Dan Lyke, which I found on the fabulous web page "Hand and Eye" created by T.P. Kunesh, whose fascinating (and wry) website shows him to be a philosopher and visionary worth knowing. My great thanks to Mr. Kunesh for the images and commentary he provided me with. 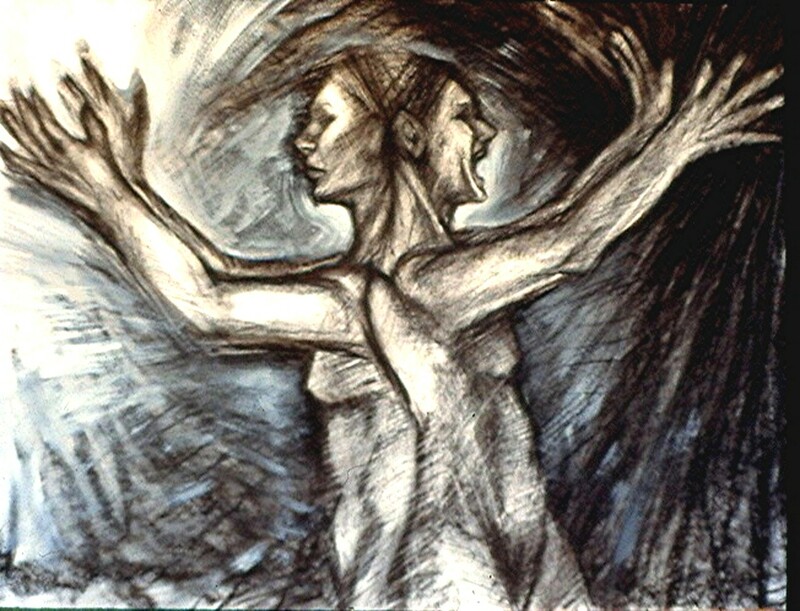 (The) inner Self has been likened to God or to "God within us". It has been called the light of nature that creates our dreams. Whatever "it" is called will involve some degree of projection limiting meaning. 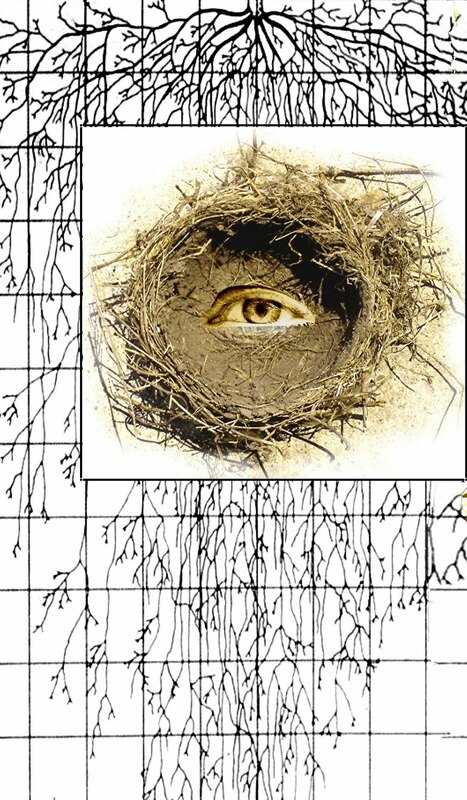 Somehow, the eye as symbol captures the pivotal point between the opposites, between the conscious and unconscious - where "the land meets the sea." The hand adds richness to the symbol. Hands can build the bridge between our inner world and the external world...The hands are the mediators between spirit and matter, between an inner image and an actual creation. By handling, the existing energies become visible. Large ceremonial centers were found in Moundville, Alabama, Etowah in Georgia, Spiro in Oklahoma and Cahokia in Illinois. These mounds are the greatest sources of the artifacts of this culture. 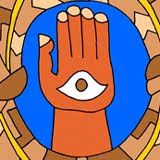 The eye, usually a simple oval containing a small circular pupil, may have represented to these peoples the hand and eye of Creator. This famous disc below has a hand pointing upward, and appears to be both sides of the hand (perhaps suggesting non-duality?) There are two knotted rattlesnakes surrounding the hand. Being knotted, they could further suggest the forces symbolized by the snakes (the snake power contained, controlled, or organized by the hand?). In ancient Europe, as "snake" was associated with the Goddess, hence, the moving, serpentine, cyclical powers of the Earth. While we cannot know what "snake" meant to these people, and the meanings of the iconic hand is only suggested by archaeologists, I think it can be said with some certainty that it did represent shamanistic power and/or deity. "Interpreted in Oriental terms, its central sign would be said to represent the "fear banishing gesture" of a Bodhisattva hand showing on its palm the compassionate Eye of Mercy, pierced by the sight of the sorrows of this world. The framing pair of rattlesnakes, like those of the Aztec Calendar Stone, would then symbolize the maya power binding us to this vortex of rebirths, and the opposed knots would stand for the two doors, east and west, of the ascent and descent, appearances and disappearances, of all things in the endless round. Furthermore, the fact that the eye is at the center of the composition would suggest, according to this reading, that compassion is the ultimate sustaining and moving power of the universe, transcending and overcoming its pain. And finally, the fact that the hand is represented as though viewed simultaneously from back and front would say that this Bodhisattva power unites opposites. Our picture depicts the dual aspects of psychic life which have been projected, since ancient times, as metaphysical realms. On the one hand, there is ordered consciousness symbolized by the regular appearance of the sun's "blazing eye;" on the other hand, there is the unconscious, a chaotic region of animal instincts, symbolized as "serpentine monsters" capable indeed of wrapping themselves around the ego and dragging it into its depths. Yet the American Indian projection preserves the fact that the unconscious is full of novelty and is a creative reality which can be harmonized with the structures of conscious living. That has been achieved aesthetically in our artifact. The image of a "hand" at the center reminds us that this beautiful piece was made by human hands and hints at the requirement of human effort if we are ever to unite the opposites within ourselves. Should what we say here be more than intuition, should it also be rooted in the facts of the psyche and in the requirement to withdraw projections, then sensation has also been served. Serving opposite functions and honoring the larger duality of the conscious and unconscious psyche is, then, the modest modern equivalent of the prayers, offerings, and correct ethical behavior of the Mound Builders. (1)"
Campbell, J. (1990). The Mythic Image. Princeton, NJ: Princeton University Press. Fundaburk, E.L. & Foreman, M.D. (1985). Sun Circles and Human Hands: The Southeastern Indians. Art and Industry. Fairhope, AL: American Bicentennial Museum. Walthall, J. (1994). Moundville: An introduction to the archaeology of a Mississippian chiefdom. Tuscaloosa, AL: Alabama Museum of Natural History. 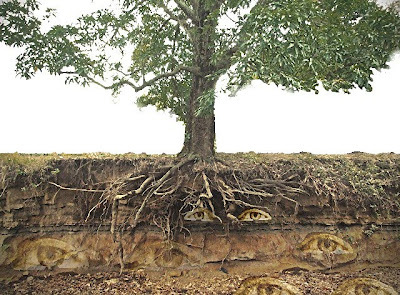 If anyone asked me what my theology was, I think I would have to say it is Gaia-ism. Since the first time I read about James Lovelock's Gaia Hypothesis (with collaborator Lynn Margulis, the biologist who was married to Carl Sagan). Encountering a proposal that said, in essence, that the planet we live within is alive, I felt affirmed in something I intuitively sensed since childhood. That the whole world was alive, conscious in some amazing way, responsive, conversant. 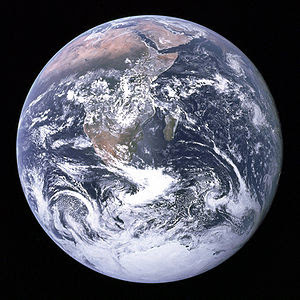 With their revolutionary work, the Gaia Hypostheis (now, more generally accepted, it has been called the Gaia Theory), a name was chosen from both science, and mythology. My paradigm, as they say, shifted like the Teutonic plates, and I've been seeing the world I live in through that lens ever since. My notion of God ceased to be not only male, but human-centric, and my art sprouted roots, vines, and webs in every background, always going "off the picture plane". Sometimes a book, or an event, is the beginning footprint of a lifelong "Marga", the hunt for divine purpose or meaning. Gaia Theory set me to wondering about the mythos of "Gaia", the Great Mother, as well. I learned about the work of archaeologist Marija Gimbutas in her excavations of prehistoric Europe, and I read "When God Was a Woman" by Merlin Stone. I read Joseph Campbell (The Way of the Animal Powers), Riane Eisler (The Chalice and the Blade), and later, as a graduate student in the arts looking for the "roots" of the Goddess in visual history, Gloria Orenstein (The Re-Flowering of the Goddess), Elinor Gadon (The Once and Future Goddess) and many others. I found I was not alone in my quest to uncover earlier perceptions of deity, my fascination with the idea that to ancient peoples the Earth was a Great Mother with many children, to imagine worlds where where deities like Crow and Turtle, the lion headed goddess Sekhment or the generous Roman Numina of place had something to teach and tell. 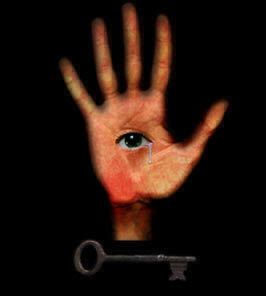 The eye and hand that occurs over and over in my work , especially now, is still the hand of the Great Mother, I believe. We can integrate symbols into our being so deeply that we forget where they come from, they are simply a way we speak to ourselves about the world. 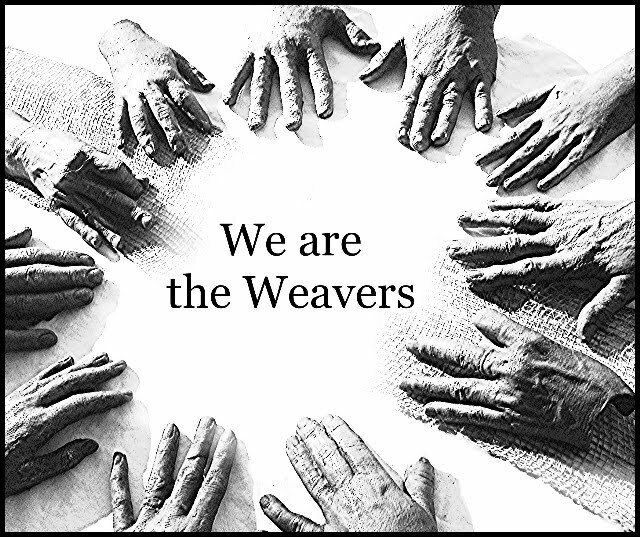 The hand of the Great Spinner and Weaver, the hand of Spider Woman, the hand of Gaia. 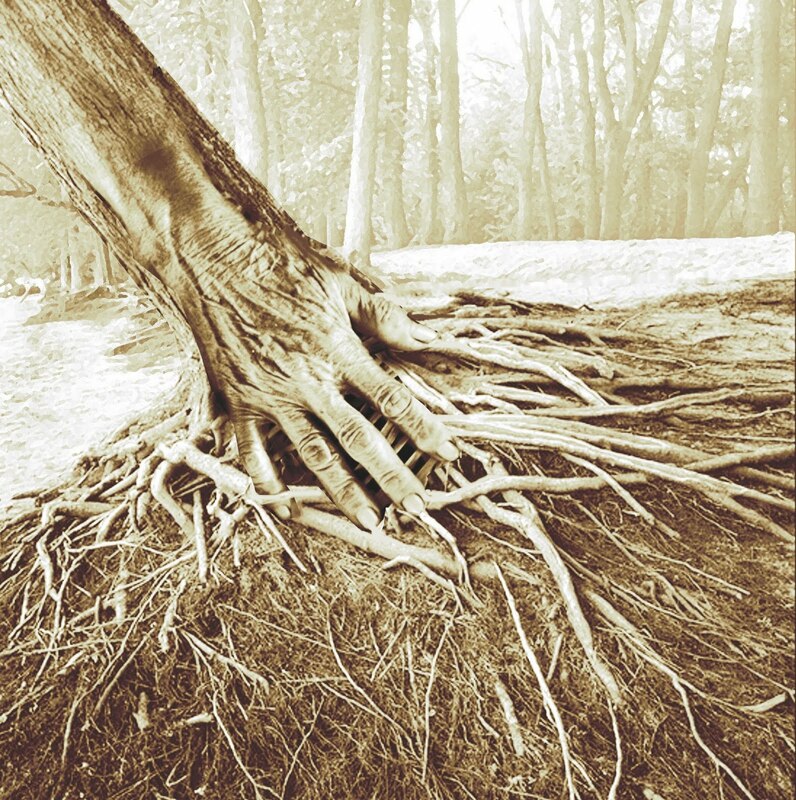 Within my own hand, as I create my life, if I'm lucky enough to contact that divine essence. 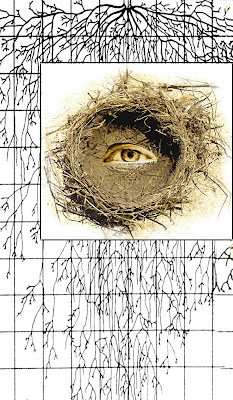 As I work on my "Icons for the Earth", I see the Eye represents the intelligence, awake and aware and creative, within what we so blithely call "nature", as if we were somehow not part of it, as it "nature" was something "out there". T he eye keeps re-occurring, and is the spirit of place I have so often felt in the mystery of the woods, the dapple of shadow on water, the bones of lives abandoned in the desert heat. I felt it without words when I was a child, observing a lizard that was also observing me. The Eye is the world awake and aware, the conversation. I think this has been a prologue to something. 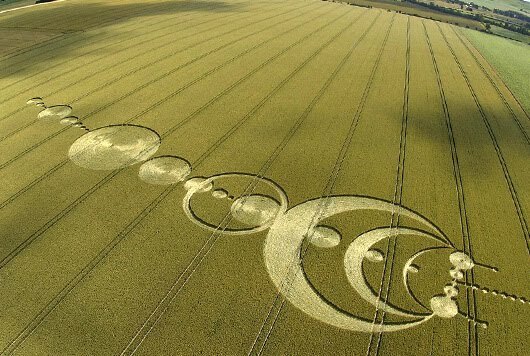 I was inspired by the talk on Crop Circles I enjoyed in Roswell, by Freddy Silva, an Englishman who has spent many years researching the Crop Circle phenomenon in his native country, and around the world. He has found that they have unique magnetic and energetic properties, that they are increasingly complex, they can occur unnoticed within as short a period as 20 minutes, and that they often occur near prehistoric sacred sites and standing stones, places of "energetic power" where ley lines cross and underground water domes occur, etc. Freddy believes they are not only communicating through the universal language of symbol and mandala (a symbol of wholeness), but they are also, speaking in terms of subtle energies, changing the land and water in some way - perhaps, an infusion, a "pollination". I need to learn more about this..............as an artist, they are not only mysterious, but stunningly beautiful, Mandalas that incorporate sacred symbols drawn from all human cultures. I have had a few real visions in my life. By that I mean, I was not asleep, I wasn't dreaming, I experienced an "altered state of consciousness" that was lucid and visionary. When this occurs, I consider it big, something I've been graced with. One of the most extraordinary "visions" occurred in the spring of 1989, when I pulled off the interstate at a rest area near the Blue Ridge mountains of Virginia. At the time, I owned a little red Toyota truck. I shut my eyes, and immediately found myself in the back of my truck.....which much to my surprise, began to fly! Looking tentatively over the side of the truck, Virginia was gone, and I seemed to be flying above a misty, very green landscape with rolling hills. 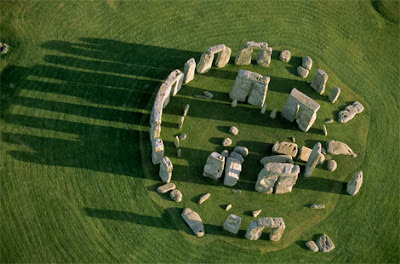 Below me I could see a circle of standing stones. 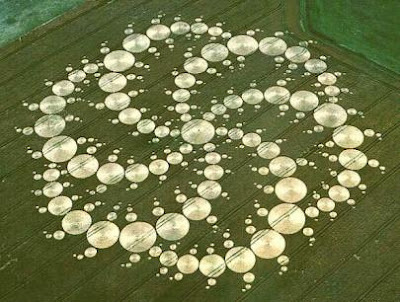 They were really more like a kind of spiral that culminated in a circle. Up the hill came a procession of people, most clad in white clothing, and many carrying flowers and baskets; they seemed to be preparing for a ceremony of some kind. Then I was peering down at an entirely different kind of landscape, as my magical truck transported me to a Southwestern terrain. The red earth had bluffs and mesas, and as I looked, I could see that there were many, many layers of petroglyphs within the rocks - they seemed to recede infinately into both human and natural patterns. Then I was flying high over Los Angeles, where I grew up! 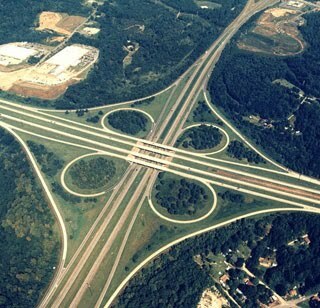 Below me was a familiar, vast pattern of freeways - and as I watched, they formed the "figure 8" infinity sign. And then I opened my eyes, seated at the wheel, pulled over at a rest area, with a map on the seat next to me. The whole experience was too vivid to have been a dream, nor did I have any memory of being "sleepy" before it happened. What does it mean? 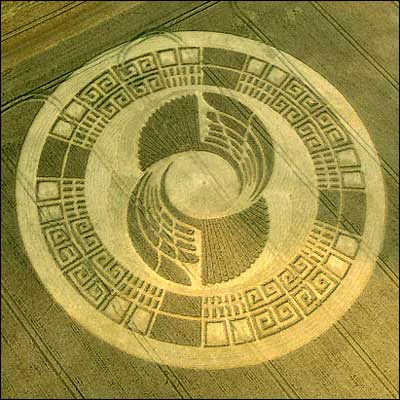 I don't really know, even now, but seeing those crop circles, I remembered this vision, and thought of it's message of pattern, language, deep within the processes of the earth, the speaking, dreaming earth. Deep within the past, universal human language and ritual and art, deep within us even in our contemporay world. is a book by John Steele, Paul Deveraux, and David Kubrin (1989) that I highly recommend. It was another one of those "paradigm shifters" for me. 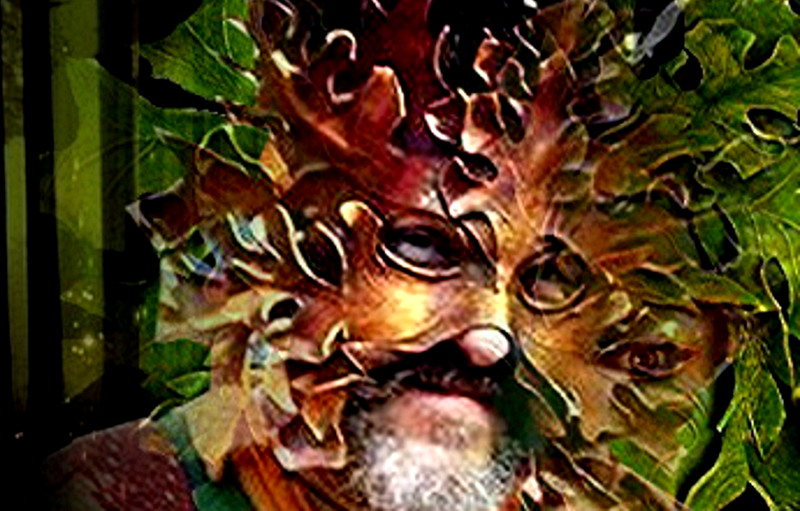 **There is so much I have said in the past about the shamanic function, the visionary function, of art - something we so little understand, and yet is basic to the understanding of archaic and indigenous cultures. In the process of researching something, I ran across these photos from 2003 in my file, and felt like quickly sharing this lovely synchronicity story before I forget it. I wore the Mask of Sophia, Goddess of Wisdom, whose emblem is the dove. 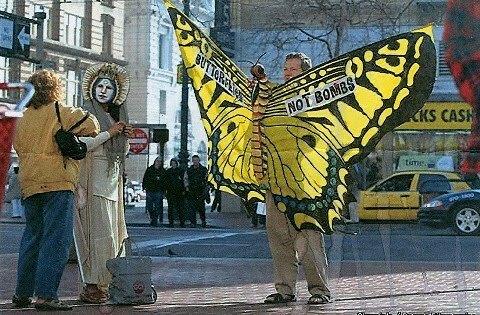 Alan brought his "Butterflies not Bombs" banner. The picture above was from the San Francisco Chronicle, where we appeared with our "Icons". What makes this a synchronicity is that Nicole (with her back turned to the camera) was locally famous as well for her "Cosmic Cash", which she created and passed out to everyone wherever she went. It says "One Love, One World" on the other side. Notice the "cash" sign on the right of the photo at top? I think Nicole's "Icon" was in the Peace News that day as well. I can't get to the Internet easily here - so my blogging is somewhat delayed. I want to thank friends for their kind and thoughtful comments......in my previous post I'm a bit embarrassed to let my "psychic underwear" show. But I do question what I'm doing these days - everyone I know is in some kind of similar transitional phase, it seems. And I am weary of the aloneness of it sometimes. I would like to say that, in the previous posts comments, I especially appreciated what Valerianna had to say about art being a spiritual practice, a way to "pollinate". Rachel Rosenthal once said that our creativity was "compost for the Earth", the highest and best of what we are, feeding the planetary mind and creating fertile soil for those to come. Rafael: "Do you remember the movie, "Forbidden Planet"?" Lauren: "Yes, their "id creature" destroyed their civilization. So, in order to integrate these internal forces, one must see it and be it?" Rafael: "Or find a safe haven for it, and art can be a haven, a solution." I was sitting on the stoop of the back porch a few days ago, looking out into the desert, when suddenly I was joined in my morning coffee by a black dog. Wagging her tail, her company was most welcome. 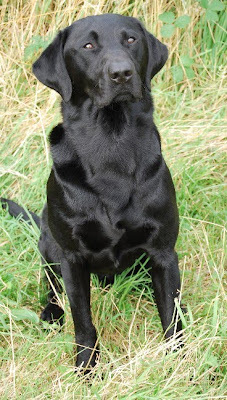 Looking at her tags, I saw a phone number, and had to laugh when I learned that my new friend was called "Shadow"! So Shadow and I hung out all day, until her owner came to pick her up........I think there's a living metaphor in there somewhere worth noting as well. How can we know the whole of anything without the friendship of what Jung called "shadow"? I make room these days for "both sides now", and when Shadow turns up at the door wagging her tail, it's not a bad idea to sit down on the porch and share your hamburger. So, I've been busy making ICONS in clay and in paintings, but I think I'll make a "Shadow Box" or two, just to make sure I keep the balance. I've been given a fabulous old adobe house in Carrizozo, New Mexico, and a studio to pursue my residency here (until mid August). I wake in the morning with this kind of vista before me, watch the stars at night from a kind of platform in the back yard that, surely, was built for the purpose of getting a little closer to the vast skies of this landscape. 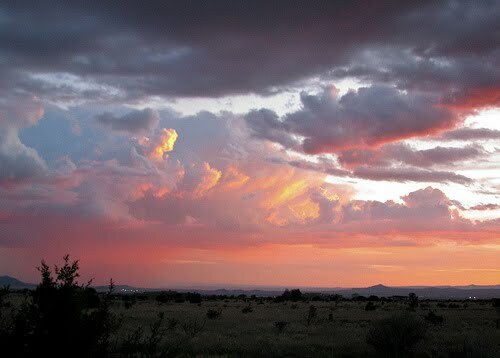 Air is the element of New Mexico. Air and Fire, here..........below are images from the "Valley of Fires", huge lava fields not far from here. 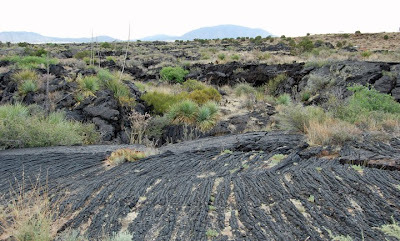 I've found myself drawn there, more so than the mountains surrounding the Carrizozo valley (Capitan, Riudoso)...............there is a numinosity in that raw, primal black rock, so recently spewed forth from the fiery heart of Gaia. It fascinates me. I also, in search of art supplies, blundered into Roswell, NM, right in the middle of the annual UFO Conference at the UFO Museum (yes, there is a UFO Museum), and wandered back to Carrizozo two days later. What a hoot! I found the speakers there fascinating, intelligent, and well informed - some of them were well known researchers who had dedicated many years of their lives to proving that UFO exist, and also that there had, indeed, been a crash of an extraterrestrial craft outside of Corona, NM, in 1947, which was covered up by the U.S. military. Their arguments impressed me. It goes something like this: does anyone really give a damn? What's the point of churning out more stuff that will end up in a storage locker? If I'm really lucky, I'll sell a few prints that will pay for a show I may have. When I leave here, I may be able to get a few friends to stop talking about their money or health problems long enough to look at my latest collection for about 15 minutes, although half way through the presentation someone will invariably start talking about how it reminds them of their aunt Susie's macrame pottery project, and I'll get mad without saying anything, and quietly close the book, or the portfolio, or I'll turn off the laptop. No one will have noticed that I did. I won't attempt to share it again. And then there is the all-American comment, "So, what's your real job?". We won't even go there. Ok, well, I guess I had to get that out of my system. Infantile, I know. But honestly, I took this residency with a tinge of desperation, hoping to somehow re-kindle the passion I once had, a passion for art that has propelled me forward for 30 years. If after this generous residency it hasn't returned, if I can't find a way to feel less isolated and increasingly disillusioned.........then I guess it's time to do something else. I just wish I knew what it was.